Hello! 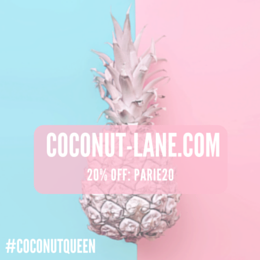 The next week or so of posts are all about shopping that I have being doing lately. I have been really bad but in July I am definitely having a ban. It all starts with Milani, who if you don't already know have just launched a UK website. I have wanted to try more from the brand for months, I couldn't risk making an order to see what it was like. Delivery took your standard 5 working days, came packed in cling film I think, no damage and in perfect condition. 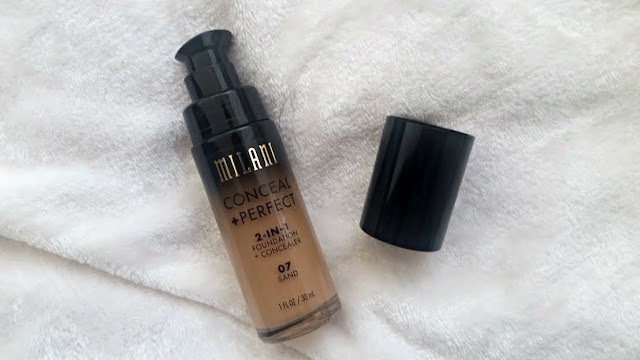 The first thing I picked up was Leanne enabled (read her blog here), she spoke about her love of this 2 in 1 foundation and I needed to get my hands on it. Picking a right colour match online was hard, it took a while but I settled with 07 Sand. Slightly too dark but nothing a bit of blending can't sort out. As soon as I posted my haul on instagram, the questions where all about this star.. There are a total of 14 shades available in the range, its a product that combines both foundation and concealer together in 1. Made to combat imperfections by being full coverage, water resistance and flawless. It comes with a pump too, which is a lifesaver! I have combination skin, with a oily t-zone and dry around the nose. 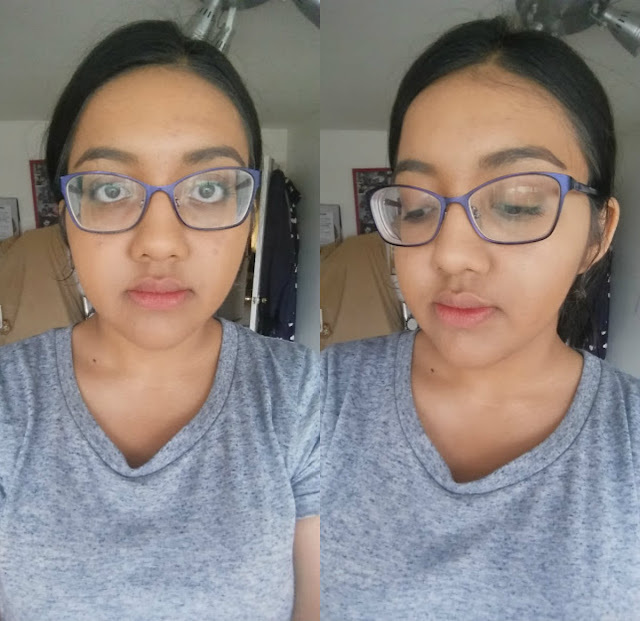 Before applying makeup, I always moisturise and prime my skin no matter what - so I did that and then applied this foundation. It is very thick, not the lightest feeling on the face but it definitely full coverage. It glides on to the skin and gives a gorgeous finish, it covers most of my scars too which is a bonus! The picture below is just one layer, no filter or editing and in natural light. I used one layer all over the skin and then tiny amounts for extra coverage and loved the overall finish. It gave my skin such a glow and actually being a shade too dark for me wasn't all that of a problem as the day went on. It didn't oxidize and it was only until after 6 hours I had to blot and powder. I am VERY impressed with this foundation, not only did it last on my skin but the makeup on top of the foundation lasted too. Isn't this just a gorgeous blush? I keep hearing amazing things about the shade Romantic Rose and how perfect it is for everyday. Of course I had to try it out. It really is perfect, I apply a sweep on my cheeks to give me a natural and everyday pink flush. 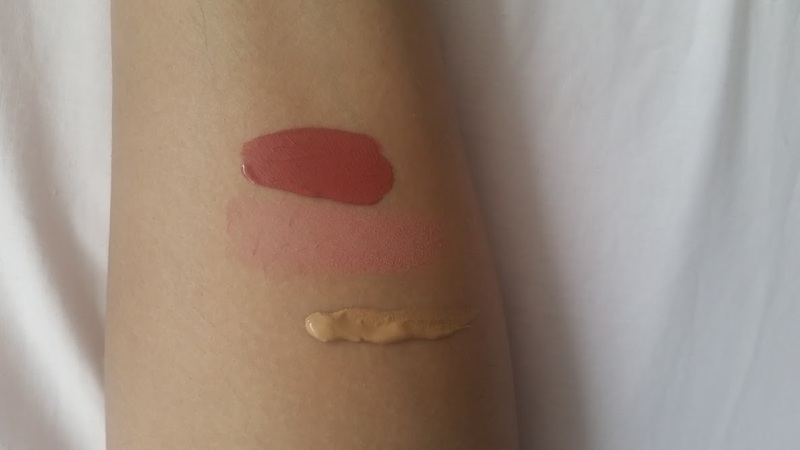 It can also be built up to be much more obvious that you have blush on but the natural colour is more than enough. 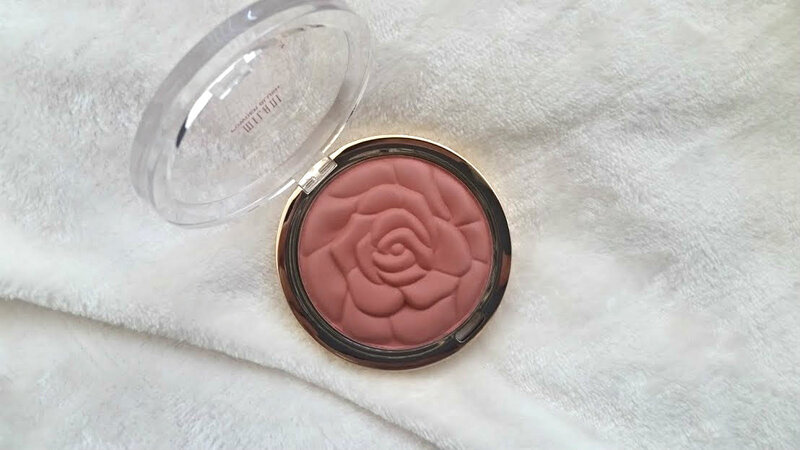 The formula of this blush is amazing, very soft and creamy it applies like a dream. I now have my eye on some other from the Rose range because just looking at them makes me swoon. Buying the Amore Matte Creme was a very random purchase, I wanted to order a variety of things to see the quality of products from Milani. This is also the only product I didn't google swatches for and just bought on a whim. That whim was a good idea because these are bloody fantastic!! 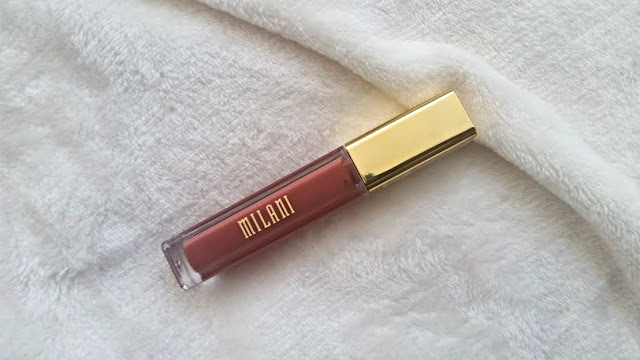 Milani describe them as a liquid to matte formula, that dries to a velvety finish. The applicator is also very interesting, its double sided to help apply around the contours of the lips. These cremes aren't sticky and very pigmented - a picture isn't enough! It only seems to last on my lips for a few hours, but the colour is slightly visible after that. Of course it depends on your day to day activities but oh my - its amazing! You need something strong to get them off too because boy oh boy do they stick to the lips like glue. All three of these things are BRILLIANT. 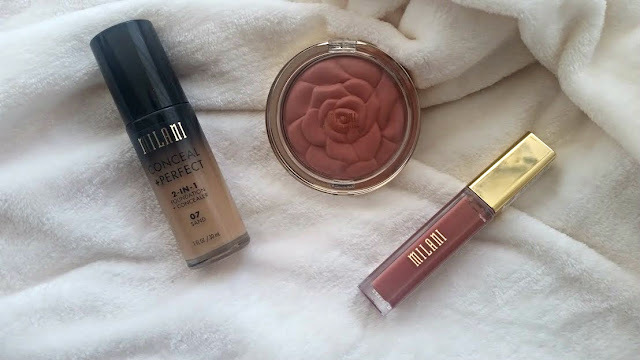 I love that Milani is so much easier to get a hold of now in the UK and I really do want to try more from them. If you have any suggestions please let me know! If your based in the UK get yourself on the website now!